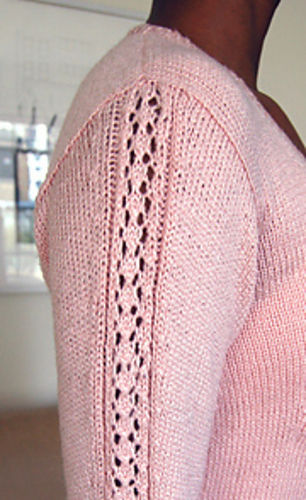 This top-down cardigan, with lace detailing on the front, center back, and sleeves, is worked in an easy 11-stitch, 4-row repeat Open-Weave Panel. 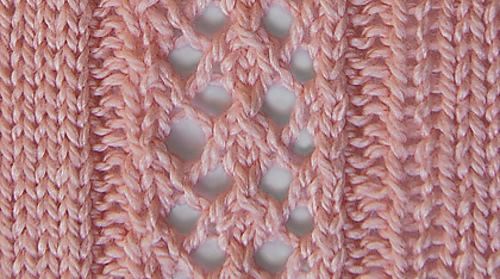 The sleeves are worked in the round from the shoulder to the cuff, with decreases down each side of the Open-Weave Panel. There are two small optional pockets. 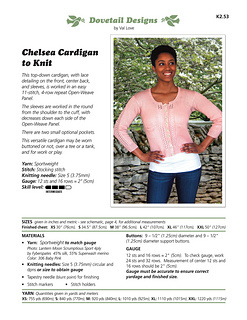 This versatile cardigan may be worn buttoned or not, over a tee or a tank, and for work or play. 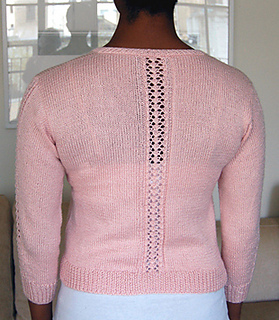 The only sewing is attaching the buttons and sides of optional pockets.